Many nursing home residents have limited capacity to communicate. As an experienced Chicago nursing home abuse attorney, I realize it is critical for family members or staff members be trained to identify potential abuse. Family members and visitors should look for the signs of nursing home abuse during visits to the nursing home or assisted living facility. Many signs may be subtle, so careful monitoring is required. 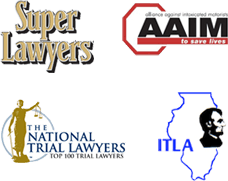 As experienced Illinois personal injury lawyers we understand and know that nursing home abuse and neglect happens in many nursing home and assisted living facilities. Placing a loved one in a nursing facility is a difficult decision for any family. Nursing home and assisted living facilities are supposed to provide a safe environment for your loved one to receive care and support. This does not occur all the time, and physical abuse and neglect occur. Family members should be aware of other warning signs of physical abuse. Your loved one could experience unexplained or inadequately explained injuries requiring emergency treatment or hospitalization. These unexplained accidents could involve broken or fractured bones, especially a fractured hip and leg. Sudden death could occur as the result of an episode of wandering or elopement. If you or someone you love has sustained injuries or loss from a Chicago nursing home injury, contact Nemeroff Law Offices today. Our experienced Chicago nursing home abuse and neglect attorneys are available to speak with you directly. Contact us immediately at 312-629-8800 or complete our online contact us form.